I'm pretty much without words right now. as a "resident alien", I always volunteer during election season for the candidate that best represents my hopes for our girls - who were both born here. The weeks leading up to the election were busy. 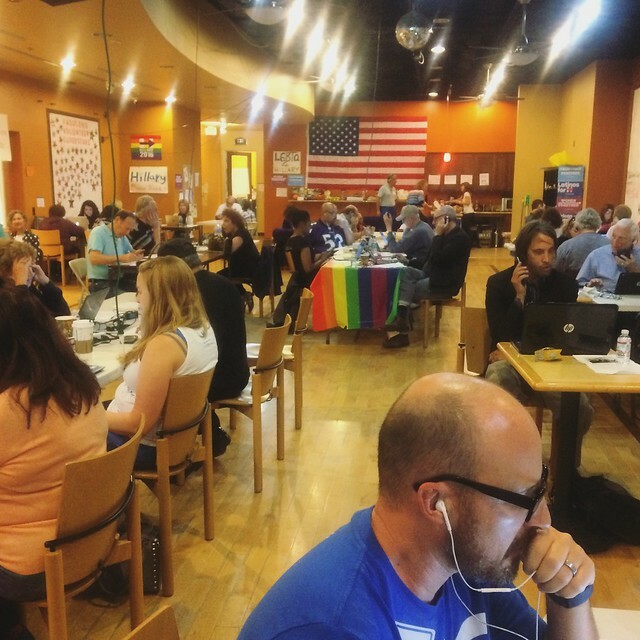 I put in hours phone banking for HRC and - along with so many I know - and then, was shocked at the results of our presidential election. my heart broke in the early morning hours of Wednesday last. I am still working through what happened, and trying to keep things as normal as possible while not accepting that things are normal at all. this weekend is about keeping cozy and close. preparing for my favorite holiday of the year. and strategizing how we go forward from here. 1) Communicate with your congressperson. They work for you. Tell them how you feel. Regularly. 3) Frequent minority-owned businesses. Let them know they are an important part of your community. 4) Get to know your neighbors better. Even the ones you usually don't agree with. 5) (But) Don't tolerate the intolerable. Misogyny. Racism. Homophobia. Xenophobia. Not ok. At all. 6) Volunteer. Join local clubs. Help in local elections (school board! neighborhood council! city government! in LA all coming up very soon!) and prepare for volunteer time for the mid-terms.